I would highly recommend Kim's 28 Day Challenge. Not only have I lost weight but I feel so much better physically and mentally. My body feels stronger and I have more energy than I did before. The meals were tasty. As a someone who doesn't cook, the recipes were easy to follow and prepare. Kim was with me every step of the way, motivating me to stick to my goals and answering all my questions. The knowledge and tools I gained will help me to continue eating well long after the Challenge is over! Aleisha K.
I've participated in many of kmaxfit's (Kim's) boot camps, challenges, and run programs over the last eight years, but this was my first food overhaul with Kim. 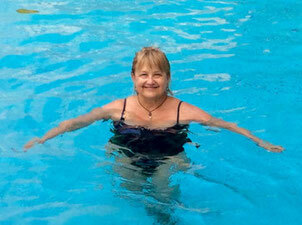 After completing kmaxfit's January 28-day challenge, I wish I would have participated years ago! For the price of one session with a nutritionist, I received a "tried & true" recipe book of amazing recipes for me and my family. Also, Kim provided a grocery list and exact meal plan for each week. Seriously, it was like having my own personal nutritionist and trainer in my kitchen every day! I love that there was absolutely NO guesswork. The only thing better would be if she came to my house and cooked it...and cleaned my blender. –Michelle H.
Kim is everything you want in a personal trainer and nutrition coach. She's kind, patient and a great encourager. She checks in frequently and is willing to make adjustments to accommodate your needs and lifestyle. 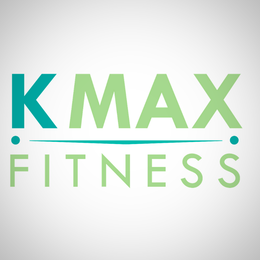 I highly recommend Kmax fitness for all of your exercise and nutritional needs. - Staci S.
Thank you so much Kim! Everything has been so well organized, thought out and you are so incredibly receptive! Thank you! Emily A. The 28 Day Transformation Challenge pushed me to commit to eating clean, whole, nutritious foods. The meal plans, recipes, and grocery lists made this program easy to incorporate into my (busy) life. The support along the way was a critical piece for success, you can always count on Kim for advice, feedback and positive encouragement. At the end of the plan, I feel so much better and plan to incorporate many of the program's delicious recipes and guidelines into my family's lifestyle going forward! – Stef L.
The 28 Day Transformation Challenge was just the kick start I needed to refocus my wellness priorities for the year. Kim's daily guidance, coaching and encouragement with the meal and exercise plans helped me keep me on track and gave me the confidence to succeed. Kathy P.
The program Kim has put together makes it easy to experience clean eating. With an organized menu, delicious recipes, complete weekly shopping lists and nightly tips, I was able to eat healthy for what I felt like was the first time in my life! Our family has now incorporated healthy smoothies and meals as part of our weekly menus. While we're still not perfect, Kim gave us the tools to put us on the right track. I highly recommend this challenge to anyone that is looking for a boost in energy and direction to a healthier lifestyle. Jenny C.
The past two challenges have changed my family's way of eating. It has actually saved me money on groceries since I am not buying cheese and crackers and wine! I feel better and have more energy. My daughter and I plan to shop together which is another benefit. I did not weigh myself, but all of my clothes fit great. My number one take away…For the first time in my life I have the strength to know that I can follow this way of eating. I feel better because it is clean and lean. I feel courage as I ask myself, “If not now, When.” The feeling of success carries over into other aspects of my life, and I feel that I can do and finish what I started. I recommend the program because it is easy. Providing recipes, menus, and shopping lists is such a bonus that makes it simple. I love feel eating this way! There is something to be gained in the no feeling of guilt because I am finally eating right. No more discomfort from the bad attitude now that what I eat is actually good for me. The FB group was such a bonus. I loved going there every day to see what others are doing and to share how I was doing and my ideas with the other women. And Kim is such a blessing on line and in emails. In addition to all she does leading the group she is a motivator extraordinaire who shares amazing and impactful graphics. I have more energy so that even if I had not lost an ounce my quality of life is so much better. My husband I are alone here…children all grown and gone. I have fed my skinny husband the food with enhancements such as bread or rice and larger portions. One night my husband was a tad grumpy. I asked him if he was annoyed with me for some reason. He laughed and said, “Why should I be annoyed? I have not had a bowl of soup and a toasted cheese sandwich in more than two weeks!” In addition, my weight is lower. People notice and compliment me all the time. In the past six weeks I have lost 20 pounds. That feels great! I have a way to go still, but for the first time I feel like the “Little Engine That Could. My new mantra is, “I think I can! I know I can!!! !” Corinne M.
I truly cannot say enough great things about joining the Clean and Lean 28 day program. It sounds a bit dramatic, but it really has changed my life and my family's life. I lead a busy life with two young boys, my own Pilates studio, I teach yoga and coach soccer so, much of what I do is physically active. Before this challenge, I would find myself suddenly starving with 15 minutes before the next thing was about to begin. I would grab whatever I could as fast as I could - couple turkey slices, handful of pretzels, cheese stick and run out the door. Now, things are very different. I prepare a meal plan every week that includes a healthy lunch, snack ideas as well as dinner for myself and dinner for my kids. I have a dream that we can all eat the same thing but the reality is that my children often won't eat salads or fish. But the great news is that their eating habits have changed for the better too ... because of the knowledge that Kim has made available to us in this program. No more sugar yogurt. No more white bread or non whole wheat pasta. No more juice. No more processed/prepared food. It feels so amazing to be able to prepare my family's meals and know that they are, not only very yummy, but also very good for us and quite simple. I love knowing everything that goes into every meal. Kim made the program so easy. I didn't even realize until the beginning of the 3rd week that I hadn't eaten gluten or dairy. The program finished almost 4 weeks ago and my family and I haven't looked back. And we certainly have no intention of doing so. Truly - a whole new life! 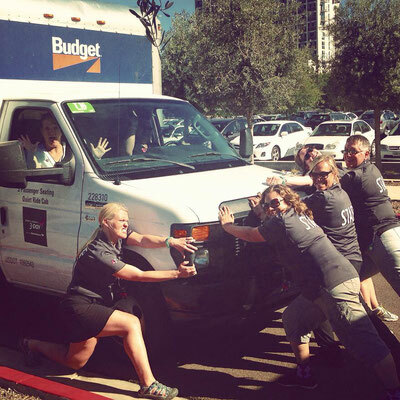 Thank you from the bottom our hearts Kim Maxwell! I absolutely recommend and am so happy to rave about Kim Maxwell and her Clean & Lean program. I participated in the 28 day program and learned so much about how to incorporate better habits into my daily routine. This program came at the right time. I am a working mom of two kids and have spent so much time neglecting myself to provide and care for everyone else. I was craving an opportunity to focus on self care and getting my body to the strong version it used to be. Kim provided the tools, and positive support and community to believe in myself and be successful. 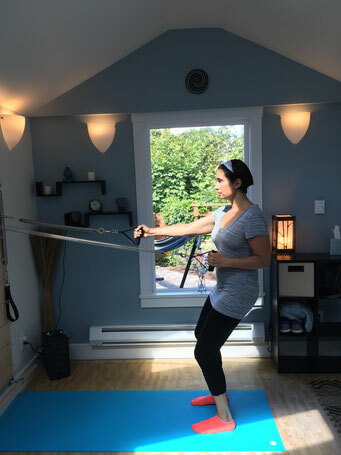 I increased my activity levels and now am consistently attending Pilates, and adding more strength training to my walking routine. I lost 10 lbs in the 4 weeks of the program. The program ended a month ago but I have continued to try and follow the principles Kim taught me and I have lost an additional 5 lbs. I feel more rested and energized and taking care of myself has made me a better mom and wife. I will be forever grateful to Kim for so kindly empowering me to start this journey. Brooke F.
I have been exercising regularly for quite some time. 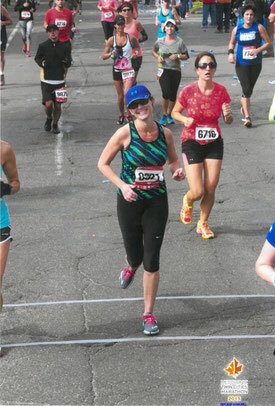 I ran my first marathon in the fall of 2015 (photo attached). However, even with all the marathon training and other exercise, I found that I still wasn't feeling that great all of the time. I've heard that being healthy is 80% what you eat and 20% exercise - I think I was doing it in reverse. I decided I really wanted to spend more time on the eating healthy part, even if it cut in to my exercise time. It's amazing how great I felt after the Clean and Lean Challenge in April! I also found running to be much easier. I loved how this plan gave you a grocery list, meal plan, and support. Just figuring out what our family is going to eat each week is a challenge and this made it so easy. I would recommend this plan to anyone looking to improve their overall mood and well-being. I've done other cleanses and eating clean programs before. This one tops them all. Instead of providing a 'suggested meal' plan like other programs, Kim gives you THE program. What to eat each day. All you have to do is spend a bit of time each week preparing. Thanks to Kim, I was introduced to some amazing recipes.I also love the community accountability aspect of this program. I joined with a colleague, but connected with so many others on the Facebook page. I'm hooked!